Looking for a festive drink to serve over the holidays? Champagne can fill the bill—but “French” sparkling wines can be pricey. 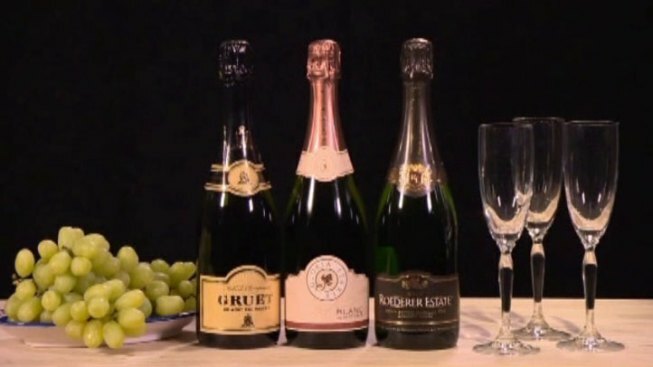 Consumer Reports just tested 11 sparkling wines costing from $5 to $37, with and without the French pedigree, to see whether you can indulge without splurging at the register. In fact, Consumer Reports says that when it comes to sparkling wine, a higher price doesn’t necessarily mean higher quality. Four of the wines tested, including a $30 bottle of Piper Heidsieck, a French Champagne, weren’t even good enough to make Consumer Reports’ initial cut. They were OK, but they had some off-notes, so Consumer Reports concentrated on some of the better wines in the tests. After swirling, sniffing, and sipping, three were named Consumer Reports Best Buys. Among them, the Blanc de Noirs from Gloria Ferrer, a California Vintner. It was smooth, with hints of ripe fruit, and costs just $16 a bottle. And for $14, the Gruet Blanc de Noirs, from New Mexico, rated even higher. It combines slightly yeasty flavors and a nice mix of tropical fruit, apple, and pear. For sparkling wines, which can be kind of expensive, these were a great combination of both price and quality. So go ahead and enjoy some bubbly at your next dinner party. And when drinking a sparkling wine, Consumer Reports says to pay attention to how it feels in your mouth. Better quality ones will have nice, fine bubbles as opposed to the larger, course bubbles in seltzer water.